How do you sleep knowing that the next day you’ll be meeting (and hopefully hugging) Lionel Richie? I’ll tell you what, you don’t. The night before I met Lionel, I felt like my 9-year-old self on Christmas Eve. It was like I was transported back to my 1987 bedroom, sleeping under my dusty mauve and country blue floral comforter, guessing what Santa would bring me. To give you some background, the days leading up to Lionel Richie involved rashes, potential chicken pox and high anxiety. In the midst of the mayhem, my little family was in serious training-mode. Lionel Richie music everywhere. All the time. I had to pump up for the main event. In the car. While cooking dinner. During dinner. During homework. The day before the show, we left the girls with their incredible Mimi in Cabo, and off we went to Las Vegas, through Phoenix. First off, traveling sans kids is shockingly delightful. You guys. Does life get any easier than air travel without lugging bags and crafts and snacks and sneezing and wheezing and whiny kids? Who wants to do that again? Me. I just raised my hand. I want to do this again. I want to travel without my children again. So, Craig and I sat on the plane and in the airport in wonderment of leisurely travel… We enjoyed the silence and soaked in the golden people-watching, all the while talking about what I was going to say to Lionel. The name “Lionel” was uttered from my lips so many times throughout this trip and he just went with it. I think he could see my joy and had no desire of dampening it. I love this man. I was seriously a 20. The mothership is calling me home. We check in at the Wynn Encore Tower Suites (uh-mazing) and we eat dinner with our good friends. Dinner was exceptional. There was a buzz in the air. I’m so excited I can’t look at the camera, I guess. Dinner ends. Craps table education ensues for me. (So fun!) We go back to our rooms. I honestly rested for MAYBE 5 hours, total. I get up and workout because I have so.much.energy that I’ve got to burn it off. I am in LOVE with Insanity Max 30 right now. Workout done. Amazing breakfast. Then we head over to the Axis Theatre at Planet Hollywood where Lionel will be performing just 8 hours later. We’ve got to pick up our Meet & Greet tickets and get our VIP bracelets. Yes, I took a photo of nearly every Lionel sign I saw. You’re lucky you’re only seeing a couple. The VIP bracelet is right below my Gram’s bracelet. Gram went with me to see Lionel. We received our instructions and were told when and where to meet before the concert, along with the 15 or so others who would also be meeting & greeting The Lionel. The dry-run from our hotel to the theatre made me feel comfortable with the evening. Usually, I’m a fly-by-the-seat-o-my-pantalones gal who has no issue just Google mapping something beforehand. I have no issues trusting my Uber driver. Um, you don’t fly-by-the-seat when you’re meeting Lionel Richie. Instead, you need to know WHERE you are going, HOW LONG it will take you to get there and by WHICH ATM machine you need to be be waiting for his pre-meet & greet representative. So, fast forward to the Lionel Richie prep. We’re fancy and ready to go. I take this final picture in the hotel room, then we’re off. After a delicious dinner that I could barely stomach, because: nerves, we hopped in the cab and arrived at the theatre. Now, at this point, we’re not sure how the meet and greet is organized. Can we use our cell phones to take pictures? Can someone take video? How will all of this go down? We waited with the other meet & greet guests and I’ll be honest, it was definitely a mixed salad. It was fun guessing just whom in the random pairs of concert attendees was the Lionel Richie fan and who balked at spending the meet & greet money. So at this point in the evening, I have no idea where we’re sitting during the actual concert. In truth, I don’t even know that I’ve really gotten past the meeting him part. I am GOING TO BE MEETING LIONEL RICHIE, so my seat during the show? Not important. 1.) We’re going to walk into the theatre. 2.) He’s going to take us to the back stage area. 3.) We will wait and get further instructions. He also indicated that with our VIP package we’d be getting a SIGNED Lionel poster (omg) and a VIP lanyard (I can’t believe I haven’t worn it to work everyday since I got it) and a framed PHOTO. The VIP lanyard. The happier I get the more my upper lip retracts, I guess. So, we walk into the theatre… And I gasp. Blurry photos. We were walking. There it is: Lionel’s piano. Just sitting on the stage, waiting to be played. Just waiting for me to hear it being played. I may have started to cry at this point. I couldn’t stare at the piano, instead I had to move along. We were led through a side door of the theatre door into an outdoor space that would allow us to enter the back stage area of the theatre. We were metal-detected and told that Lionel would see us soon. Blurry photo of Craig being detected for metals. EVERY PICTURE I WAS TAKING was blurry. First time with a camera? APPARENTLY SO. We’re smiling. Making small talk. We’re checking our lipstick. Craig asks when our flight home is? So, no phones allowed. No items for him to sign. (Except, apparently body parts: remember? Full-Sleeves-Guys’s calf?) And… we were told that The Lionel was ONLY going to take ONE picture per person, or one picture per group. A.) We want a group shot with our friends. Still, we handle the sitch with grace and ease. Note the stuffed chair and spatula to the side of the chair. So we’re outside the Hall-to-Lionel planning with our friends, A&B, just how we’re going to handle this. The four of us are at the front of the line. Do I want to walk in first? Oh wait. What if I sort of freeze up and can’t speak. No, no, I can’t go first. A&B should go first, that way they can sort of loosen him up and I can take a minute or two to get.my.self.together. A&B will meet The Lionel first. I will follow. By myself. Craig will get a picture with him if there’s time. We’re told it’s time to move into the hallway area facing the door to the backstage space where The Lionel is assumedly waiting to meet me. That smile couldn’t be bigger. Note: all the gums. This narrow room very much so reminds me of a tornado drill in high school. Except this time I was far more dressed up and excited. Um, you couldn’t get me to leave this Hallway-to-Lionel if you TRIED. We waited in the small hall-like room for about 10 minutes and I’ll be honest, I was strangely calm. Under pressure, or in times of excitement, I think my heart rate drops quite a lot. You can absolutely count on me to hold it together. Before or after said event? I’ll lose it. But trust that I can handle everything during the event. There was the sweetest man on the planet. A&B — chatting up The Lionel. Aren’t B’s blue suede shoes great?! Here I am, standing 4 feet away from a man who is absolutely radiating positive energy. He was so welcoming to my friends. I could hear their banter and small talk and I can’t even imagine how much I was smiling. I do remember someone in his entourage saying something to me, but I don’t know if my eyes ever stopped staring at Lionel. I am literally just feet away from a man who I have loved first by sound, then by sight (that hair), for the majority of my life. Wan to hear our conversation? Then we hugged for the THIRD time. And we kept talking. About what? No clue. I think he thanked me for coming and said more… but by this time I was literally just in aw, trying not to cry. Thanking GOD that Lionel wasn’t a Grumpy Bon Jovi. We took our ONE picture. That’s when Craig joined us. They exchanged pleasantries and we got another photo. How long did that interaction last? How much of an impression did it make on me? I walked away, smiling and with tears in my eyes. Smile taking over my entire head. Upper lip completely gone at this point. He was an active listener and he was kind and authentic. He was everything I hoped he would be. As we were walking out of the backstage area, you could have just walked me home and that would have been fine. I’ve heard of Cloud Nine, that was definitely Cloud Twelve. Throw in a donut, and it could have been Cloud Thirteen. He was totally the bassist. And his name is Ethan Farmer. So the night actually GETS better, you guys. We’re walking to our seats. You guys, we were in the SECOND ROW. I’m crying at this point. I am literally 12 feet from Lionel Richie’s stage (maximum). Shall we bring in Craig again? I think what he meant to say was, “This was a once and a lifetime opportunity for my wife and of course she needed 3 Lionel Richie t-shirts. So, back to our SECOND ROW SEATS we go and we wait for the magic to happen. That’s me. TOUCHING the stage. And take more pictures, of course. Meanwhile, I talk to one of the security guys and he says that the Lionel is SO nice and that Britney Spears, who apparently occupies this theatre, is not lovely to her meet & greets peeps. The Lionel for the win. AGAIN. the FIRST TWO ROWS are allowed to STAND NEXT to the stage and dance and sing the night away. I’m shaking my head as I type this. He sang, he danced, he showman-shipped. He was witty and funny and adorable. And he was pointing at us. I loved that he’s someone’s DAD.. dancing and singing HISTORY on stage. I was actually floored by how good he sounded. He literally sang every single song that I knew and loved. (See the setlist here.) Pennylover, Truly, Hello, Sail On, Easy… I mean, come on. I touched his hand while he sang. My face was on the big screen. My ELBOWS got sore from resting them on the stage. Ultimately, that day not only MET, but EXCEEDED my wildest expectations. I met a man that I respected, that was a direct connection to my heart… and he was kind. Then I got to sing and dance to all of my favorite songs… next to the stage, NEXT to the singer I’ve loved and respected. I’ve met and hugged Lionel Richie . Now what? I suppose I just need to raise two kind, empathetic, hard-working kiddos and my job here on earth will be done. So when the concert was over, we basked for a little while… until the security told us it was time to leave. …and then I saw us. The perfect ending to an extraordinary experience. …and this might be my Christmas Card. To see the rest of the images and copious amounts of videos click here. There are SO.Many.CLIPS of him singing. P.S. Look, my pic was the top trending pic for the hashtag #lionelRichie on Instagram. Happy New Year from Lionel & I.
I really can't explain how much I love this post, legitimately LOVE! Thank you for sharing!!! Wow, just wow! You looked amazing, of course, but it is even more evident how extraordinary this entire experience was and that is just awesome!!! AW! Thank you so much. Honestly, I am smiling as I write you. It was SO awesome. GAH! Thanks for reading. (And faithfully reading.) Have a great week! Girl – I just cried reading this post. Cried because I'm so happy for you and cried b/c I would kill to have this experience! 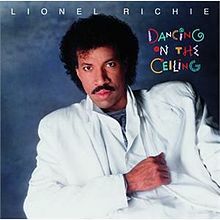 Rich and I were painting our condo for our new renters last weekend and I made him listen to Lionel for a good hour. He didn't mind! BTW – you looked STUNNING! I'm meeting "The Lionel" at his Seattle show in April. I don't know you. But this whole blog post has made my day! You are witty and funny in your description of the nights events! I seriously just googled "I met Lionel Richie" just trying to get a perspective of what I can expect! Love this post! And Lionel love Forever!! Oh my gosh! How exciting. You are going to have the BEST time ever. I expect a FULL report. 🙂 kyleeATtwopretzelsDOTcom. Email me! YAY! You can expect a report of my nights events for sure! I'm too busy to even blow my nose anymore or reply back to you. Work hard=play hard is my new mantra. ? I mean, where do I even start? Over the course of the years I’ve always loved Lionel Richie. I actually don’t remember not loving him. The sky is blue, donuts are incredible and Lionel Richie is amazing. To set the record straight, I am not attracted to Lionel; it’s more than that. (I’m sure Craig is smiling/rolling his eyes as he reads this.) I respect Lionel. Is any artist today the showman and musician and songwriter and producer that Lionel is? I had tickets in my cart, and not just any tickets. I was willing to spring for the meet & greet, gold circle, golden, diamond, platinum, VIPPPPP tickets. I mean, it’s Lionel. This is a bucket list thing, right? Still, we tried to make it work with some friends, but life… as it does, got in the way. We couldn’t get the dates right. …but you guys… I was.so.excited. Truth? It didn’t even seem TRUE yet. …the entire trip was beyond words awesome, but the Lionel Richie part? It wildly exceeded my expectations. What do I think he’s going to be wearing? Next blog post? All about that night. Oh you Lionel groupie!!!! Dragging out like this???? I know it's just got to be worth the wait!!!! This, this is what I think the main stream media should be writing about everyday:) Loved reading…will look forward to the rest of the story!